Prevention of bush fires and protection from their threat is a community responsibility. The volunteers of the New South Wales Rural Fire Service work all year round to protect our State from the disaster of bush fires, building fires, and assist other agencies at motor vehicle accidents and many other types of incidents. Like all volunteer organisations we are constantly on the lookout for new members. 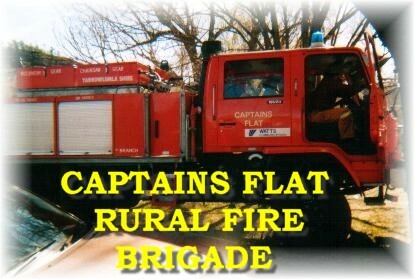 Each and everyone of us have skills that are beneficial to the Rural Fire Service. You will be made welcome and have access to the varied courses that we provide, either through in-house training or approved courses provided by the Rural Fire Service of New South Wales. Everyone has skills a Rural Fire Brigade can use. Most of our members are firefighters, but some provide different skills, either in addition to firefighting or instead of firefighting. The other roles in the brigade include Community Engagement, Administration and Equipment Maintenance. To join up contact the Captain on 0427 797 843 and then come along to one of our training sessions or meetings. New members of the brigade need to undergo some RFS training before attending incidents. The Bush Firefighter course usually takes four days to complete and this is usually scheduled on weekends but may include some weeknights. The brigade usually meets for training on the second and fourth Sundays of each month, from 9am to midday, or as otherwise arranged. The brigade usually holds a monthly meeting on the third Monday of each month, at 7pm.